We, at the Learning Resource Center, want to thank this wonderful community. We are truly grateful for each penny, email, Facebook post, article, mention, phone call and invitation that brought us to the total donation of $5,940.00. The Giving Match 2016 campaign began on November 29, 2016, also known as #GivingTuesday which is a national day designated for giving, and continued through Friday, December 2, 2016. Over those four days, the Polk County community came together, helping our organization earn more than $5,000. Libertore Fund for Children, a local organization with a mission to make a difference in the lives of at-risk children, matched each amount, dollar-for-dollar, up to $5,000 thanks to an anonymous donor. On Tuesday, December 6, Lana Swartzwelder of the Libertore Fund for Children presented a check with the Fund’s match of $5,000.00 for an amazing total of $10,940.00. The monies are now earmarked for a new server to replace our rebuilt, 10-year old equipment. Rarely is LRC able to use contract or grant funds for capital needs. It is only through an opportunity like this that we can update or replace the infrastructure that highly correlates with quality service, valuable programs, successful clients and fiscally-sound management. Two years ago, the AdvancED/SACS Accreditation Team noted that technology (server included) was the one glaring need for improvement in an otherwise highly stellar evaluation report. If it were not for you and your generosity, this nonprofit would not be able to continue to make the differences in lives as it has done every day for 41 years. We truly appreciate YOU! From left to right: Sherri Diaz, Marilyn Worthington, Dr. Pam Craven, Lana Swartzwelder (Libertore Fund for Children), Becky Troutman, Joyce Barclay, Lisa Burton, Morgan Holmes, Dr. Shandale Terrell, Tamme Goble, Elsa Nail and Annie Sullivan. To ensure that you’re prepared for the ACT and/or SAT, we’ve compiled a list of the 2017 dates and deadlines all in one place to make it easier. Scroll down below to find the test date that works best for you. Earn your best possible score on the ACT with LRC’s ACT Prep. Prepare for the SAT with LRC’s SAT Preparation. 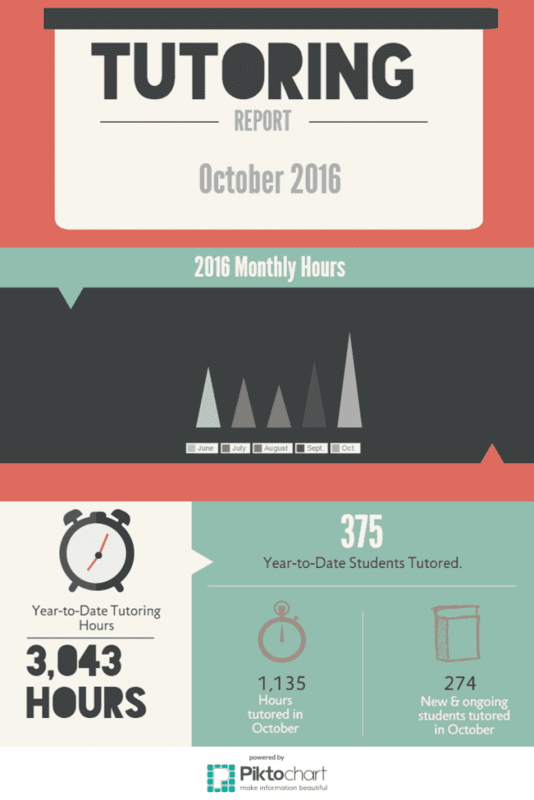 In the month of October, Learning Resource Center students received 1,135 hours of tutoring, with a Year-To-Date Total of 3,043 hours (the YTD totals start over every July). New and ongoing students tutored during the month of October equaled 274 students. Thanks to all of our tutors and students for your time, efforts, and hard work. It’s paying off! If you’re interested in participating in One-to-One Tutoring, please visit LRCPolk.com/programs/one-to-one-tutoring. 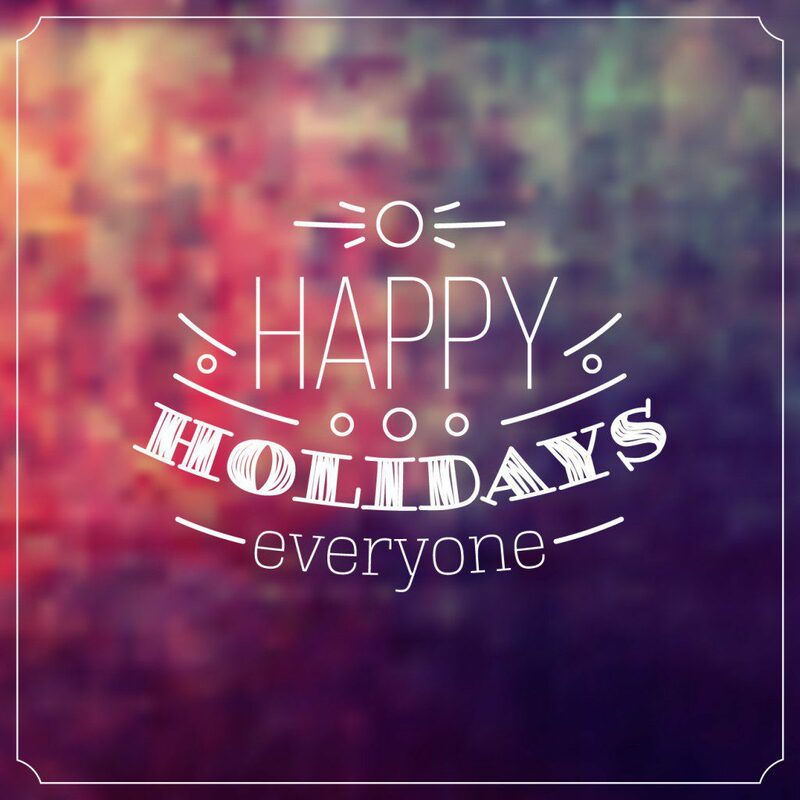 Are you looking for holiday events in Polk County? We’ve compiled a list of fun, family-friendly, events taking place this December just for you! Check back frequently. We’ll be adding to the list as we find events. Details: Take in the sights and sounds of the season and enjoy the Sixth Annual Festival of Wreaths. The striking wreaths that fill the halls of the History Center are decorated and donated by local businesses, individuals and organizations. The wreaths will be on display through Dec. 10. On opening night, the History Center will be open from 6-8 p.m. as part of Main Street Bartow’s Magic on Main Street activities. Details: Catch real snowflakes whirling around the Lakeside Village Christmas tree for 5 minutes on the hour from 5pm-9pm. Details: Volunteers lead visitors on an hour-long winter walking tour, sharing information about the flora and fauna and guiding visitors through the Gardens from the Visitor Center to the Singing Tower. Included with general Gardens admission. Details: This special secret shop is for children only! Gifts will be reasonably priced for children to purchase holiday items for family and friends. Elves Shelves fun includes a wrapping station. Admission is free. Prices vary per item. Details: Join Bok Tower at their first annual gingerbread house event to decorate your own gingerbread house and take a tour of the Pinewood house. Each participant will receive their own gingerbread house to decorate and storybook to take home, which will be read by Mrs. Claus herself. $40 per child includes Gardens and Holiday Home Tour admission, gingerbread house and storybook, and one chaperone. Details: Be sure to see the vintage Model A’s outside Pinewood Estate, meet historical characters from the 1940s, and catch a few surprise personalities from the past. Tuesdays throughout December. Included with general Gardens admission. Details: On a cold, clear, moonless night in the middle of winter, all is not quite what it seems in the remote, mythical town of Almost, Maine. As the northern lights hover in the star-filled sky above, Almost’s residents find themselves falling in and out of love in unexpected and often hilarious ways. Knees are bruised. Hearts are broken. But the bruises heal, and the hearts mend—almost—in this delightful midwinter night’s dream. Tickets are $21 for adults and $17 for students. Time: 6:30 p.m.- 9 p.m. Details: This free walk-thru Christmas experience is one the whole family can enjoy! Experience an evening of excitement filled with your favorite holiday sights, smells, sounds and over 500,000 lights. Details: The best kept Christmas secret around…the Florida Flywheelers bring a holiday village of sparkling lights, refreshments, & Santa & Mrs. Claus to their tractor site located between Avon Park and Fort Meade. Families can journey through the village on a tram pulled by a tractor while enjoying fun Christmas displays. There are also stops for free hotdogs, cookies, hot chocolate, eggnog and cider along the way. Admission is a monetary or toy donation. Time: 9 a.m.-1 p.m. & 1-5 p.m. Details: Decorations and holiday fun for kids of all ages. From 9 a.m.-1 p.m. will be Mrs. Claus’ Kitchen featuring cookies, candy, and more. From 1-5 p.m. will be Santa’s Workshops featuring gifts for family & friends. The cost is $25 for a half day or $40 for a full day. Details: Decorations and holiday fun for kids of all ages including frozen art, science and games. The cost is $25 for a half day or $40 for a full day. Details: Bring in the holiday season with a 30-foot tall LEGO Christmas tree made of 270,000 LEGO bricks, life-size LEGO Santa, reindeer and sleigh, festive decorations, LEGO build activity, a LEGO Santa Scavenger Hunt, holiday entertainment and nightly fireworks. LEGO Santa and LEGO Toy Soldier make daily appearances in the Park providing a perfect family photo opportunity. Time: Times vary by date. See below. Details: All movies are $5.00. Time: Times vary by date. Details: Public ice skating returns to The Lakeland Center this winter with morning, afternoon, evening, and late evening sessions on various days. Click the title link to see times and dates. Details: Join the Lakeland Public Library for a free movie and snacks. December’s showing is Krampus. Most of our movies are intended for adults, however children and teens are allowed if accompanied by an adult. Details: Join the Lakeland Public Library to decorate festive coffee mugs. All supplies are provided for this free event but registration is required. Details: Stop by the library for Christmas-themed fun. Details: Enjoy beautiful holiday music performed by talented young musicians. Time: 11 a.m.- 4 p.m. Details: Enjoy festive movies at the Lake Wales Public Library. Details: Join the City of Auburndale for entertainment, refreshments and tree-lighting with a surprise visit from Santa Claus. The Historic Baynard House will be open for holiday tours. Details: Free holiday-themed family-friendly entertainment, activities, live music, art reception, car show, and more. Details: Join Lake Alfred at their Christmas parade and tree lighting. The parade route remains the same from last year. The parade will start at Central Park at the corner of Cummings and Glencruiten and will head west on Cummings to 17/92 and end at Gardner Park. Hot chocolate and cookies will be provided at Gardner Park for the Christmas tree lighting. Details: Auburndale Parks and Recreation presents the annual breakfast with Santa event. Admission is $8. Tickets are available at the Auburndale Parks and Recreation department. Time: 10 a.m.- 4 p.m. Details: This is the 28th Annual Carols in the Park Holiday Market. The event includes handmade craft vendors, Polk County Schools participating by performing holiday programs, free photos with Santa, free kids crafts and carriage rides! Details: Join the City of Haines City for a fun-filled event for all ages featuring thousands of lights, snow slides, children’s entertainment, arts & crafts vendors, food vendors and a chance to meet Mr. and Mrs. Claus. Admission is free. Details: This free event is for leashed pets and their owners. It will feature pet supplies, food vendors, pet photos with Santa, pet contests and mobile grooming. Details: Join Lakeland Parks & Recreation for its Annual Snowfest featuring the traditional Snow Mountain, arts and crafts vendors, a rock climbing wall, live entertainment and more. Details: Join FBCH for a Christmas open house for holiday treats, cottage tours and fun-filled family entertainment. Details: This free Polk County Parks and Recreation holiday event is for the whole family and will feature sweet treats, arts and crafts, a coloring contest and a family movie, which will begin at 7 p.m. Details: This free Polk County Parks and Recreation holiday event is for the whole family and will feature sweet treats, arts & crafts, games, a coloring contest and a family movie. The movie will begin at 7 p.m. Details: Bring your chairs and blankets for Haines City’s Christmas-themed movie series in the park. Popcorn and drinks will be available for purchase. The movie will be Home Alone. Details: Join Haines City Parks and Recreation where Santa and Mrs. Claus will great the children and pose for pictures. Admission is included with the purchase of a meal. Bring your cameras. Details: Join the YMCA in partnership with Discover Family Church for this annual free holiday featuring free breakfast, crafts, fun, games and Santa. Details: Join Polk County Parks and Recreation for live music, photos with Santa, refreshments, a holiday kid zone, outdoor movie, and more. Admission is free. Location: Lakeland Knights of Columbus, 2014 Lakeland Hills Blvd. Details: This event will feature close to 50 crafters and vendors, a bounce house, raffles and food vendors. A portion of the proceeds will be donated to local autism and epilepsy charities. There will also be a box available for unwrapped toy donations. Details: Winterfest festivities will include a visit from Santa and Mrs. Claus, an electric night parade, cookie-decorating, vendors and snow. The parade will begin at 6 p.m. Other activities will begin at 7 p.m. Details: This free Polk County Parks and Recreation family event will feature sweet treats, arts and crafts, a coloring contest, and a family movie. Details: Bartow Parks & Recreation presents the 7th Annual Jolly Holidays with activities that will include one free picture with Santa and Mrs. Claus (additional pictures can be purchased for $5), decorating cookies and ornaments, coloring, music and activities, family gingerbread house making, and a chance to win a 6 foot stocking filled with toys (must be present to win)! Details: Come out for a night of door prizes, shopping, crafts, gifts, cookie decorating, music, drinks and more! Spend time at Simple Vintage & Scout and Tag’s Christmas “gift tag” making station. Kids can enjoy decorating free sugar cookies. The first 25 people will receive a free swan ornament. There will be more giveaways for purchase as well as acoustical music performed by Tanner Ledford and Diego Salinas. Details: Bring your chairs and blankets for Haines City’s Christmas-themed movie series in the park, featuring Dr. Seuss’ How the Grinch Stole Christmas. Popcorn and drinks will be available for purchase. Details: Bring the family to frolic in Winter Haven’s own winter wonderland featuring 70 tons of snow making up the snow slide and snow pile for children and adults to enjoy. There will also be games, food and appearances by Santa. The cost is $2 for adults and $1 for kids. Details: Sponsored by the Winter Haven Optimist Club, this 5K run/walk, 10k run, 1/2 mi. kids’ run will begin at Central Park and progress around Lake Howard, Lake Cannon and Lake Mirror. The 10K will begin at 7:30 a.m. The 5K run/walk will begin at 8 a.m., and the kids’ run will begin at 9 a.m. Details: Spend an enchanted night with all of your favorite characters making magical memories at the character meet and greet, royal portrait keepsakes, delicacies, interactive holiday story time, crafts, giveaways, carols, Santa, and singing and dancing. The cost is $25-$35. Details: Get your holidays off to a running start with the City of Lakeland’s 5K and grand opening of Three Parks Trail. The entry is $30 for the chip-timed race and will include a t-shirt if registered by Dec. 1. Enjoy post-race refreshments and photo opportunities with Santa. Details: Join WonderHere for this free holiday event. Drop in anytime between 5-8 p.m. Details: Bring your chairs and blankets for Haines City’s Christmas-themed movie series in the park, featuring The Polar Express. Popcorn and drinks will be available for purchase. Details: This Polk State College winter concert is features all of your holiday favorites. The cost is free for Polk State College students, Polk County high school students, Polk State faculty and staff. Details: This celebration of the Christmas Season featuring choirs and individual performers, coming together for a family-friendly gathering, with songs and community caroling. Donations of non-perishable items will be collected to benefit the Frostproof Care Center. Details: A stark departure from traditional holiday dance performances, the Ultimate Dance Center presents this homage to Tim Burton’s stop-motion animation film through jazz, hip hop, ballet and contemporary dance. Details: The Sanctuary swells with the magnificent music of the Christmas season when the FPC choirs join together with guest artists to present the annual Glory of Christmas. Details: Polk State College presents Warner University’s “A Royal Christmas”. There is no cost of admission to this performance. Details: Based on the beloved holiday film, this hilarious fish-out-of-water comedy follows Buddy the Elf in his quest to find his true identity. Rated G. The cost is $15 for adults and $12 for children 12 and under. Show times: Friday at 6:30 p.m., Sunday at 10:30 a.m. and 6:30 p.m., Sunday at 2 p.m.
Time: 2:30 p.m. & 7:30 p.m. Details: As the holidays approach, music faculty, staff, and students eagerly shift their attention to the preparation of FSC’s gift to the community, the Christmas Gala featuring beloved traditions as Adolphe Adam’s O Holy Night and the stirring audience-interactive Christmas Carol Sing-Along, this year’s production, A Gift for the Holidays, will reveal gifts of beautiful sacred and secular seasonal repertoire performed by a dazzling array of music ensembles, soloists, and surprise guests. The cost is $4-8. Details: The Symphony Guild of Winter Haven welcomes the Imperial Symphony Orchestra for a celebration of the season at Polk State College Fine Arts Theatre in Winter Haven. Tickets are available by calling (863) 294-7213 or (863) 206-7167. Details: Clarice and her Nutcracker Prince embark upon an exciting and courageous adventure as they battle the mouse queen, travel through the snow forest, on their way to the Crystal Palace. Performed in Ballet, Tap, Modern, Swing, Jazz, African, and, Hip Hop by Crystal’s World of Dance, this dance spectacular is not the typical holiday nutcracker. The cost is $20 for adults and $15 for seniors and kids 12 and under. Details: The Over 55 Show Band will perform at the Winter Haven Fine Arts Theatre. The cost for the concert is $10. Details: A perennial favorite, this season the ISO presents the sounds of the season including the classic Victorian-era tale “’Twas the Night Before Christmas” with vocalists from Harrison School for the Arts. Tickets range from $15-$35. Details: Justino and Daniela Zoppe bring a little magic in their all new stage show for all ages featuring Cirque Acrobatics, comedy, dangerous stunts, mind-blowing illusions that’ll leave you with an inspiring lesson about family, love and the magic of Christmas. The cost is $18 for adults, and $12 for children 12 and under. Details: Lakeland’s own professional dance company, the Florida Dance Theatre, brings its celebrated annual production of Tchaikovsky’s The Nutcracker to the stage of Branscomb Auditorium. Performed with charm and perfection by the dynamic dancers of FSC’s company-in-residence, this breathtaking production features colorful scenery, dazzling costumes, and entrancing choreography. As a special treat, community children join the professional dancers, creating a family-friendly, feel-good performance event. The cost ranges from $9-$18. Details: The ultimate holiday tradition for the youngest to the seniors in every family, seeing Moscow Ballet’s Great Russian Nutcracker creates holiday memories that last a lifetime. The renowned, award-winning principal dancers and corps de ballet thrill audiences with their expertise, dramatic expression and stunning leaps, drops and turns. The cost is $28 and up. Details: Celebrate New Year’s Eve at the Ramon Theater to enjoy intrigue, deception and delicious food. Prepare your sleuthing skills for the clues given by the Ramon Players. Details: Join The Lakeland Center for an evening of holiday hits from Grammy® Award-winning saxophonist Kenny G. The cost is $29.50-$69.50. Details: Enjoy a traditional Christmas experience with Santa and Mrs. Claus. The event will include photos with Santa and hands-on holiday activities for ages 2-6. Santa himself will be handing out children’s books to all of the boys and girls. Details: Enjoy the sounds of the season with the Orlando Philharmonic Orchestra and the Singing Tower carillon as they perform together during one of Central Florida’s favorite outdoor concerts. Families and friends are encouraged to prepare themed picnics and experience a magical evening as the sun sets atop Iron Mountain. $20 adults / $8 children (5-12) / $18 members in advance. Event day costs: $25 adults, $10 children, $25 members. Details: CHRISTMAS WITH THE NELSONS tells the story of three family Christmases in the lives of America’s Favorite Family, The Nelsons. This heartwarming multimedia, live concert experience stars the third generation of #1 Nelson Family hit-makers and features a genuine blend of Everly Brothers-style harmonies and Smothers Brothers-style comedy. Center Stage Buffet is available for this performance. The cost is $30-$45. Details: You can walk in anytime with your family or just to work on this by yourself, and Melanie can complete the artwork if you prefer. This is more of a casual workshop, not a class. She has 6 spots available, prepay & reserve today. $25 for dinner plate, upgrade to a platter optional. If you choose to upgrade, the $25 registration will apply toward the platter. Details: Bartow Ford and 97 Country have teamed together to create a free Winter Wonderland event featuring 64 tons of real snow, snow slides, characters, two Polar Express trains, face painting, photo opportunities and more. Time: 9 a.m.-12 p.m. or 1 p.m.-4 p.m. Details: Spend the morning or afternoon with Project Blooming founder, Linda Worle creating a beautiful succulent wreath. It’s easy to mix succulents in an array of types and colors that will last year-round. Workshop includes instruction, basic framework materials, and plants. $70, all materials included. Details: This free event for all ages is a great way to relax! Vintage Christmas cards, Christmas trees, and ugly Christmas sweaters are just a few of the coloring sheets that will be provided. You are welcome and encouraged to bring your own coloring books and colored pencils, but if you lack the supplies, they’ve got you covered. Details: Concord Coffee and A Kind Place present the Holiday Pop-up Shop. Come out to the Dixieland Mall for photos with Santa, kid’s activities, a gift wrapping station, hot chocolate, music, and more. Details: Enjoy an hour-long carillon concert with a live choir under the evening stars. Before or after the concert, visit Pinewood Estate for a special nighttime tour complete with hot chocolate and cookies. It’s a unique opportunity to visit the Gardens after normal operating hours. Enjoy a light dinner at the Blue Palmetto Café before the concert for an additional fee. Last entry to Pinewood Estate is at 9:30 p.m. Concert Only: $10 adult, $5 for child (5-12), free for members. Concert & Home Tour: $18 adult, $11 for child (5-12), $7 for members. Details: ‘Tis the season for baking holiday cookies. Join Publix Aprons as they teach you how to make new recipes that you and your family will fall in love with. Menu: Chai Tea Eggnog Cookies; Maple Walnut Spiced Cookies; Peppermint Pin Wheel Cookies, Chocolate Chip Blondies; Coconut Cranberry Chews. The cost is $40. To reserve a seat for this class, call the Lakeland Cooking School at (863) 647-4127. Details: Celebrate New Year’s Eve at LEGOLAND Florida where the giant LEGO brick drops at a very kid-friendly midnight KST (Kid Standard Time) – otherwise known as 7 p.m. EST. Other event elements include fireworks and a dance party DJ. Details: Lights of Love is a commemorative tree-lighting ceremony that benefits Good Shepherd Hospice. This annual gathering is an opportunity for Good Shepherd Hospice families and community members to gather to celebrate and remember their loved ones in a special, unique way. Candles are lit by all attendees, musical entertainment is provided by community members, holiday songs are shared and words of comfort are delivered by Good Shepherd Hospice staff and area spiritual leaders. Details: EMERGE Lakeland is partnering with Volunteers in Service to the Elderly (VISTE) to provide Holiday Care Packages to 50 limited income, homebound seniors in the community. Join other “EMERGE elves” for a 20-minute facility tour and packaging of 50 personal cares boxes. Approximately 20 – 25 volunteers are needed. Details: Heartland for Children’s 12th Annual Rudolph Round-Up Holiday Toy Drive helps to make incredible holiday memories for 1,400 local children who have experienced abuse and/or neglect. Become a Rudolph champion by sponsoring a child, sponsoring a toy drive, making a monetary contribution, donating a toy and/or spreading the word.